Change is the only way to survive change. There’s no better proof than our Channel Influencer, BitTitan's Geeman Yip. Ten years ago, Geeman Yip sat in his basement with his two dogs waiting for the world to end. That’s what it felt like, anyway. Facing bankruptcy, a market that didn’t believe in his vision and a crisis of confidence unparalleled in his experience, Yip felt like he was standing completely alone on a ledge screaming into a void. It would have been easier to jump, to fold his nascent startup and head back to his cushy job at Microsoft. It was tempting. But Yip somehow dug deep and found the grit he needed to pull himself and his company, BitTitan, back from the ledge for one final effort. Looking back on those early days brings literal tears to Yip’s eyes. He had no board members, investors or employees to talk to. He’d bootstrapped BitTitan himself just months before the housing bubble burst and was hemorrhaging money. Bankruptcy was a breath away, and Yip didn’t have anyone to talk to about it. It’s situations like this that build great business leaders such as Yip, one of nine executives Channel Partners and Channel Futures honored this year as Channel Influencers. There’s no secret hack to help a startup founder get through that black moment when everything seems to be lost. You just have to set your jaw and forge ahead. But that’s how leaders learn to see opportunity in crisis, so that instead of folding under extreme pressure, they can look back to a harder time, a moment of darker despair, and know that if they survived that, they can get through anything. Entrepreneurs have to find that grit and stamina to tackle the big problems, Yip says, because overcoming obstacles is what they do. When Yip graduated from UC Irvine with a degree in computer science and came on board at Microsoft, the ubiquitous software provider had around 15,000 employees. During his eight-and-a-half-year tenure, Microsoft grew to more than 100,000 employees. The energetic, agile, innovative company Yip joined right out of college had turned corporate. Where had all the fun gone? Yip missed the camaraderie, the passion and the high fives that come with one team celebrating wins and learning from losses together. Bright-eyed and bushy-tailed, Yip left Microsoft in the spring of 2007 and dove into the world of startups. He had no real idea of the company he wanted to build or even the product he wanted to work on, but whatever it was, he wanted to do it with passion. He wanted to get the fun back. Yip wanted to address a challenge that was becoming pervasive in the late aughts. People had begun to digitize their lives, from photos to movies to music, to the point where everyday people had accumulated gigabytes of data that was constantly threatened by the specter of system failures or hard-drive crashes. Yip himself was looking for a way to preserve his digital life, be it photos or Word documents. He wanted a cloud-based solution to avoid the threat of data loss. That’s when the proverbial lightbulb moment occurred. He’d develop a way to sort and store files and give it away for free as a “gateway drug,” a term Yip uses liberally when talking about BitTitan’s business strategy. To make money, he’d build an application marketplace ecosystem and charge for the services. In 2007, AWS had just debuted S3 the year before and made EC2 available in unlimited public beta. Dropbox was founded. File hosting and sharing was starting to become mainstream. To Yip, the timing was perfect. It took about a year for him to build the technology, including a proprietary infrastructure as a service (IaaS) and platform as a service (PaaS). But then he had to recruit beta testers, and he realized it wasn’t going to be as easy of a sell as he’d anticipated. When trying to convince his brother’s friend to sign on, he found himself trying to explain to the potential customer that just because his photos were on the cloud didn’t mean anyone could see them. He had no sales team and no proof-of-concept or case studies. The cloud was brand new, and no one understood it. Yip was trying to sell a product more suited for five years down the road. He couldn’t get anyone to bite. Yip’s troubles were compounded exponentially when the housing crisis hit. Not only was he trying to build a business, he was also trying to just live. He was burning through cash fast and already worried when Bank of America called, saying it needed to reevaluate Yip’s home equity line of credit (HELOC). Essentially, he was facing a total loss of assets. He was standing on a ledge. Yip needed something he could monetize, and he needed it yesterday. His old buddies back at Microsoft were working to build on the success of the company’s Business Productivity Online Standard Suite, an initiative that would soon result in Office 365. Yip realized that with a small pivot, he and Microsoft could create a win-win partnership. With its new cloud-based applications, Microsoft was facing looming giant headaches when it came to migrating customer data from on-premises, and it needed an easy migration tool. In the year Yip spent building his IaaS and PaaS, he’d learned his way around cloud applications and saw a way to apply that code to solving Microsoft’s immediate need. In exchange, he’d have access to Microsoft partners, essentially solving his sales problem. With the Microsoft partnership, Yip gained access to a ready-made network of partners, whom he got hooked on his “gateway drug” of email migration. He continued to build on Microsoft’s capabilities, staying a step ahead of competitors. People wanted collaboration, which grew BitTitan from an email migration solution to a workload migration solution. When Microsoft began including Outlook as part of the 365 subscription, Yip introduced device configuration. As cloud applications exploded, he recognized that his managed-service-provider (MSP) customers were going to demand tools and processes, an epiphany that resulted in MSPComplete for IT services management. Yip had done it. He’d grown a desire for fun into a struggling startup, and that startup into an industry leader. Going into the Microsoft partnership, he’d sunk around $100,000 of his own money into BitTitan and was looking bankruptcy in the eyes. Before long, BitTitan had close to 100 employees, and it hadn’t even raised its first capital, which came in the form of a $15 million Series A two years ago. And when he looks at where the cloud market is headed, all he sees for BitTitan is success, as long as he stays a step ahead. At the end of 2016, Yip decided to lay off about 15 percent of the company’s workforce. It wasn’t an easy decision, but BitTitan had accrued “technical debt,” additional workloads that slow growth created by iterating and deploying fast and furious. That debt, says Yip, always has to be paid off someday. Sometimes that results in a reset of sorts. Yip calls it BitTitan 2.0, and says it’s all about growth mode. He’s developed what he calls SWAT teams that play on the agile methodology idea, essentially creating “companies within the company” to make decisions faster, execute more efficiently and still maintain that critical atmosphere of fun, where dynamic people work within a team to succeed together. Yip says BitTitan 2.0 is all about solving problems. SaaS, he quips, is not what it once was. No one foresaw either the problems or the promise of SaaS. Yes, SaaS lowers costs and makes workloads easier to manage, but the management and integration of dozens or hundreds of SaaS applications is the new challenge. 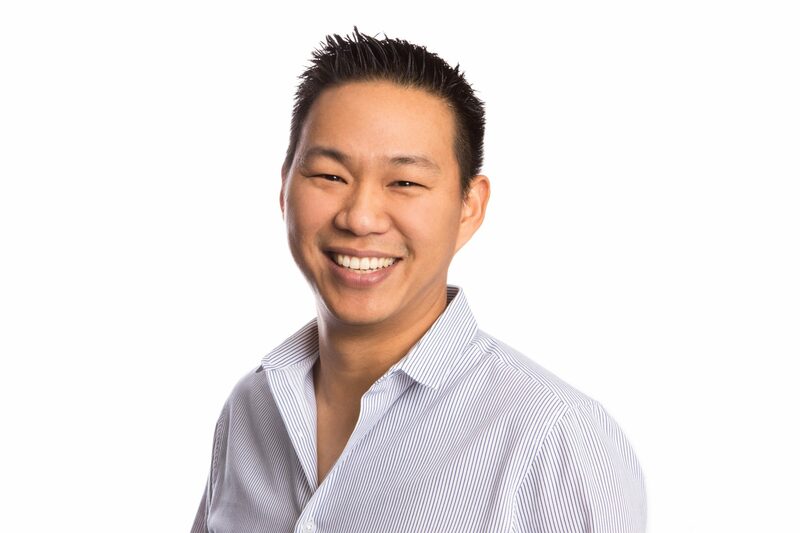 The market that addresses that challenge is what Yip calls cloud enablement, and he believes it’s going to drive BitTitan’s future success and fundamentally change the modern channel. As cloud has risen to dominance, it’s enabled an explosion of resellers, service providers, system integrators and application developers, all working to sell and deploy a slew of services, from ITSM to help-desk solutions. The market consolidation we’re beginning to see take off, predicts Yip, will give rise to a new breed of technology and companies that consist of and build upon existing market forces. He points, as many do, to the Autotask and Datto merger. The traditional channel has had a good run, and many resellers and service providers wear their shops like comfortable, worn-in slippers. These partners need to develop a healthy-size chip on their shoulder. It’s that paranoia Yip spoke about, the one that keeps you from turning into the next Blockbuster or Kodak. Anyone who runs a business, he says, should be looking over their shoulders at who’s on their tail and constantly questioning their own significance. Doing things a certain way because that’s the way you’ve always done them is a sure path to irrelevance. For tips on how to avoid that mindset, Yip says partners should look to the startup world for inspiration and bring a little fun into their businesses. Traditionalists who look at startups and think “fun” is all about bean-bag chairs and craft-beer bars should take reassurance from BitTitan’s more practical definition as delivering results in an agile way. Startup is a mentality, Yip explains. It’s a way to operate. It doesn’t have to revolve around unstable offerings or risky moonshots. Any company can be a startup with the right mindset — even a long-established MSP. If the market predictions Yip foresees come to pass, partners might not have a choice. Change is the only way to survive change. There’s no better proof than Geeman Yip.